LeoVegas was recently crowned as “the most interesting and high performing company in Europe 2015” by the European tech-community and the winner of the Grand Prize at GP Bullhound Summit 2015. Now with this Quickspin – LeoVegas partnership the momentum accelerates further. “LeoVegas is market leading in mobile casino, which is very exciting for us now that we de- velop and release our games simultaneously on web and mobile through our own platform”, says Daniel Lindberg, CEO at Quickspin. 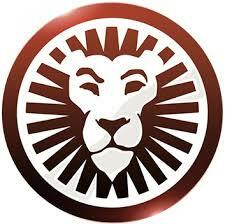 LeoVegas is the innovation leader in mobile casino gaming. LeoVegas online casino provides world-class game entertainment and offers over 500+ games on mobile, tablet and your com- puter. Multi-award winning LeoVegas casino offers a completely new standard for what you can (and should) expect from gaming on your mobile phone. LeoVegas Crowned “Most in- teresting and high performing company in Europe 2015” and winner of the Grand Prize at GP Bullhound Summit 2015.